DESCRIPTION STUNNING downtown views from this ultra luxurious custom build by Sinclair Signature Homes! Situated on an extra deep 190' lot that is magnificent for entertaining and is literally steps from downtown! This home features 10 foot ceilings on the main and also 10 foot ceilings on the second floor as well which magnifies all of the windows in the home. Complete with a professional design scheme that Sinclair usually reserves for their multi million dollar acreage and suburb builds this home truly has it all! High end European commercial appliances, graniteand quartz counters glass walls, skylights, custom kitchen and cabinets, tile, hardwood, and many more! Home is fully finished!! Home for sale at 1822 Westmount Bv Nw Calgary, Alberts T2N 3G8. 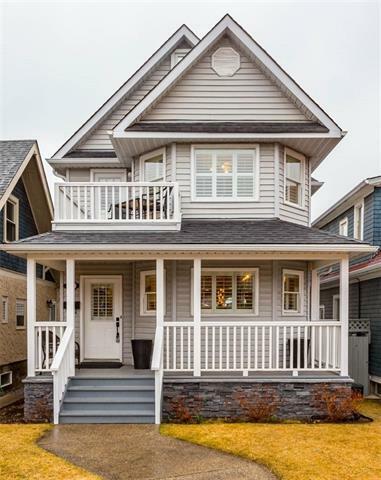 Description: The home at 1822 Westmount Bv Nw Calgary, Alberta T2N 3G8 with the MLS® Number C4210576 is currently listed at $1,099,000.